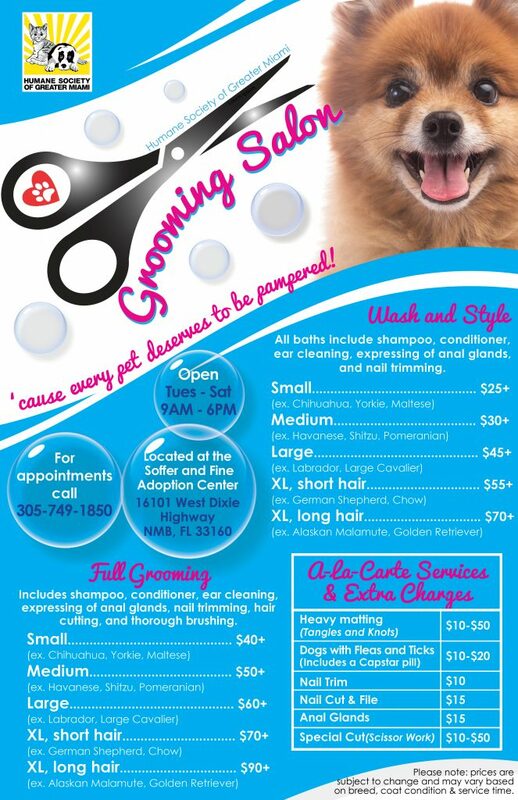 Pamper your dog and keep him/her looking their best with our professional grooming services! Our Grooming Salon is open Tuesday through Saturday. It is located at the Soffer and Fine Adoption Center, 16101 West Dixie Highway, North Miami Beach. 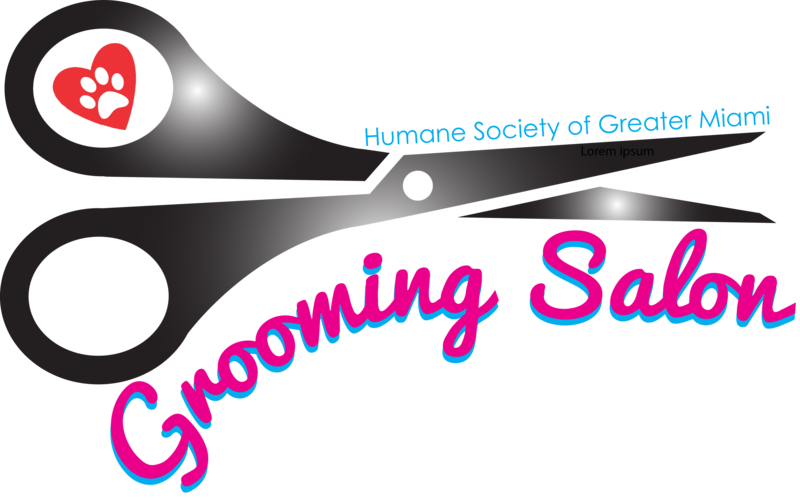 One hundred percent of all grooming fees go toward supporting the homeless pets cared for by the Humane Society of Greater Miami, so you can spoil your pet and help needy animals at the same time! Large dogs: Tuesday – Friday only – No large dogs on Saturdays. *Please note: prices may vary based on breed, coat condition & service time.